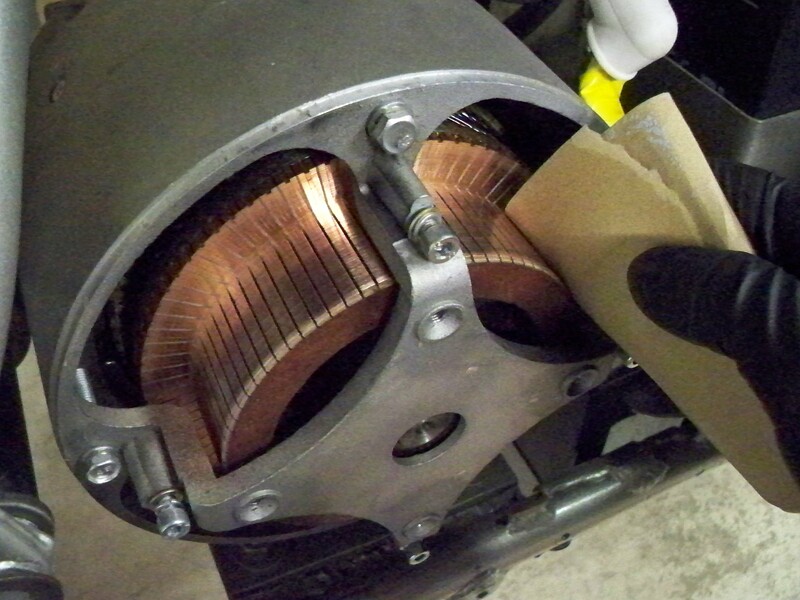 Most permanent magnet DC powered electric motors use Brushes to transmit power from the source (battery) to the commutator. 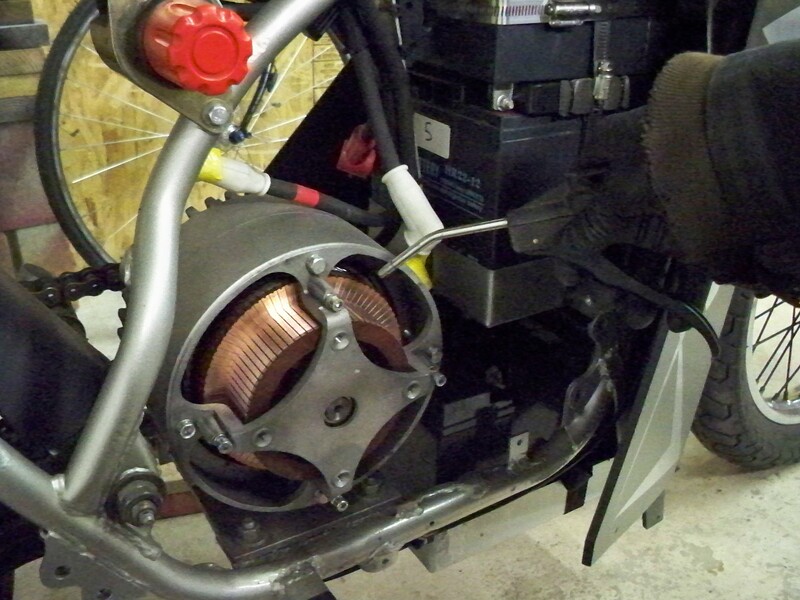 The power then continues to the Rotor that is wound with conductive wire producing a strong magnetic field that will repel the magnet facing it on the inside of the motor case. That is what makes the rotational torque that will power your vehicle. 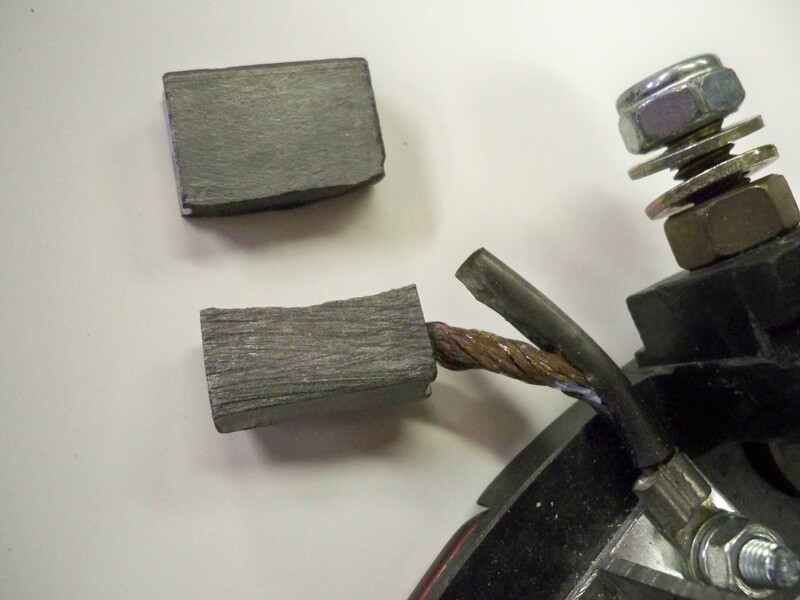 one of the disadvantages of using a brushed DC motor is that eventually the Brushes will wear down and need replaced, similar to how brake pads wear on disc brakes. 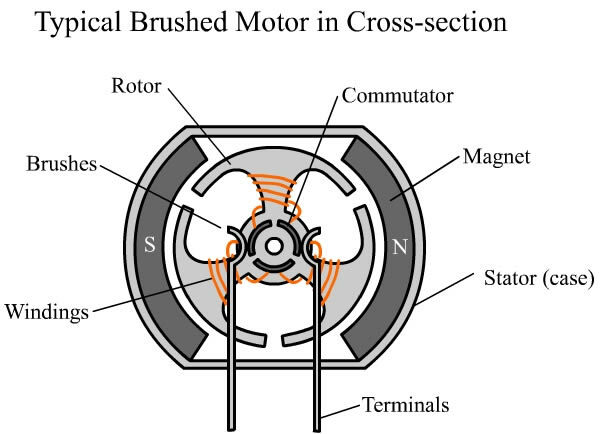 In most cases the Brushes will last VERY long in a properly taken care of DC electric motor, Things that can cause excessive and pre-mature wear includes, running the motor too fast, applying too much power (voltage or amperage) then the motor is specified for, excessive load on the motor, harsh motor conditions like sand, water, dust around the motor. 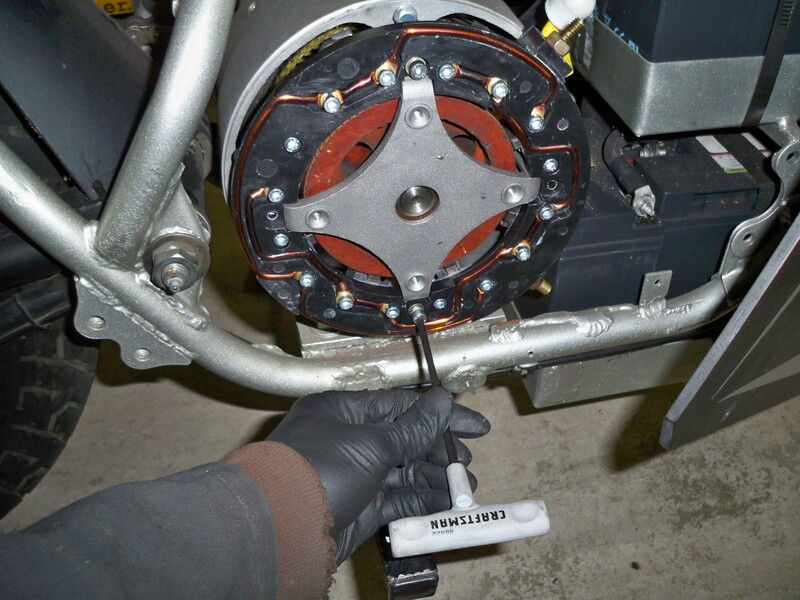 But if the motor is properly sized for the application and occasionally inspected and cleaned with compressed air, the motor brushes will last almost the life of the vehicle. Unfortunately in my case I learned the hard way, applying too much power for too long caused one of the motor brushes to crack in half, it then jammed in the sleeve causing some arcing to occur between the brush and commutator. I noticed this when accelerating from a stop, I felt a shuddering feeling from the motor, I looked down and saw flashes on the ground from the arcing. After removing the rear motor cover on the Mars RT ME-0709 , I then un-bolted the brush holder to find the problem. 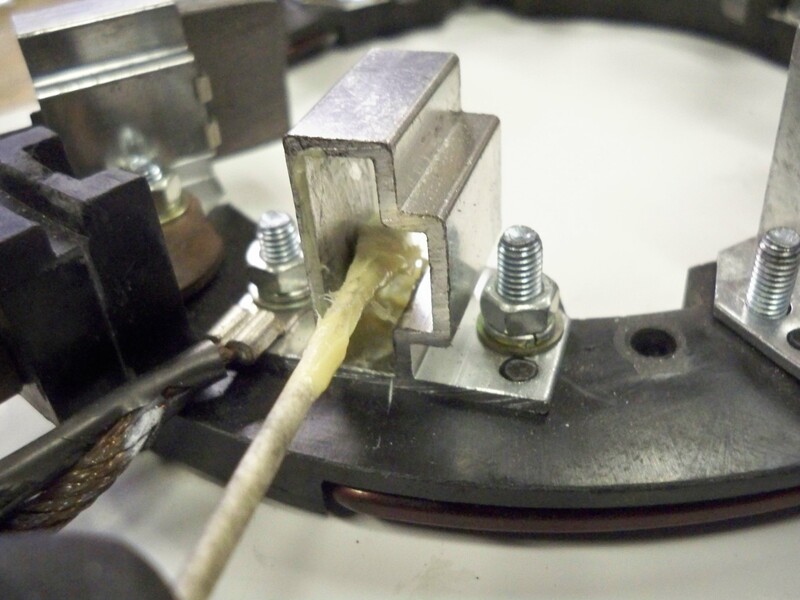 When re-assembling the new brush holder I use a very small application of lithium grease on the inside the brush sleeve to help the brush contact the commutator, using a toothpick helps. 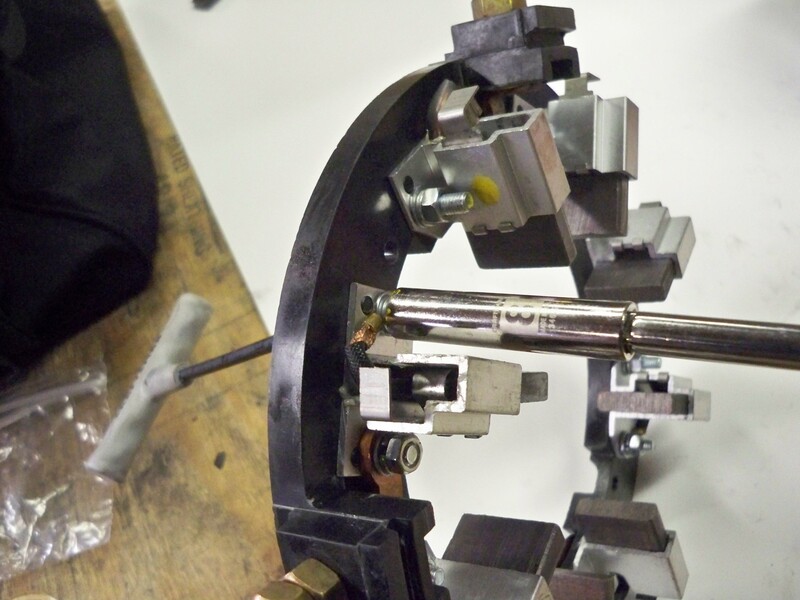 when all of the brushes are greased and re-installed, make sure they easily spring back to make good contact against the commutator. Then use a rag with alcohol to wipe off ALL excessive Lithium grease. check that all of the brush connectors are properly torqued down, use a paint pen to mark the bolts. Next you’ll have to clean up the commutator, usually they will look black and nasty when the brush’s are removed. Use a piece of 280 grit sand paper and hold it in place while a friend spins the motor with a wrench or power drill, work your way up to at least 400 grit sand paper, until it looks shiny like the photo above. Using a rag soaked with alcohol carefully wipe the entire rotor off to ensure all debris is gone. 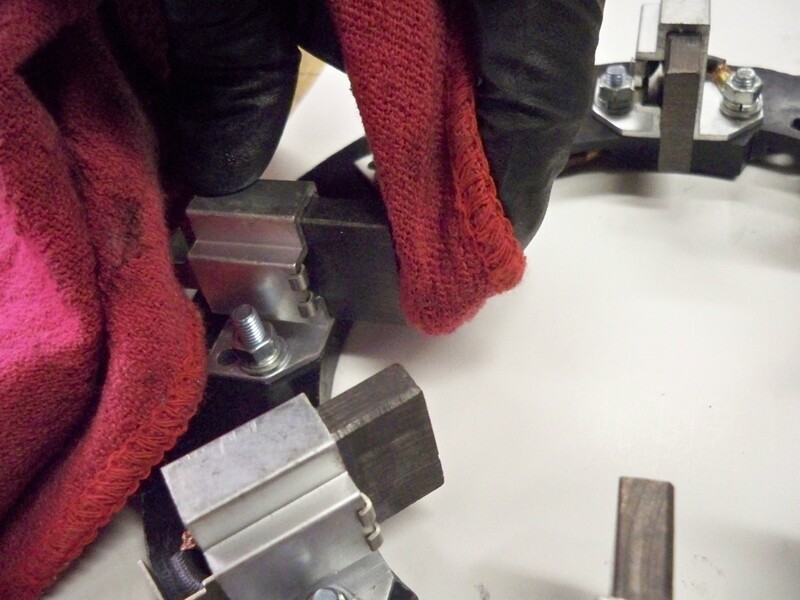 working from one side to the other carefully push the brushes over the commutator and then bolt it back in place. There is an outside edge that must be placed over the metal case, its very easy to overlook and you could break the plastic holder if you tighten the bolts. re-install the rear vent cover and the motor power cables and you’re ready to break in the new brushes. Do not skip this part, breaking in a brushed motor is very important. The goal in the break in process is to make the new (flat) motor brushes wear and conform to the curve of the (round) commutator profile. 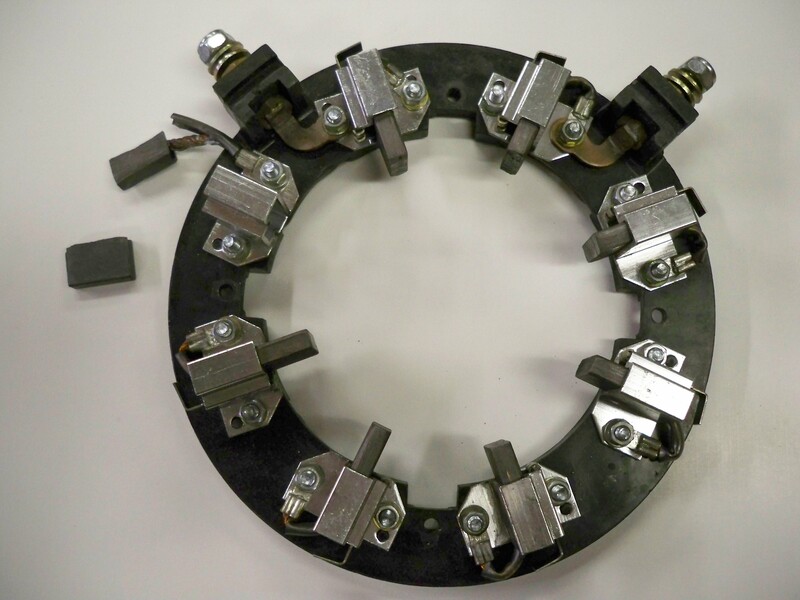 When you are done both the brush’s and commutator should contact firmly with the same curved profile to ensure the best electrical contact over the most physical area minimizing arcing and wear. 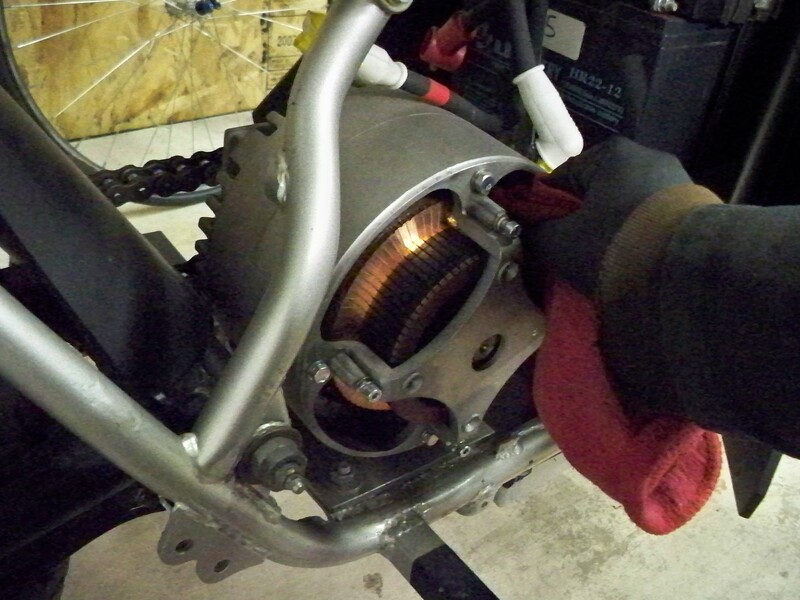 2. run the motor at about 1/3 to 1/4 throttle for 2+ hours, be sure it is in the direction of usual motor operation. 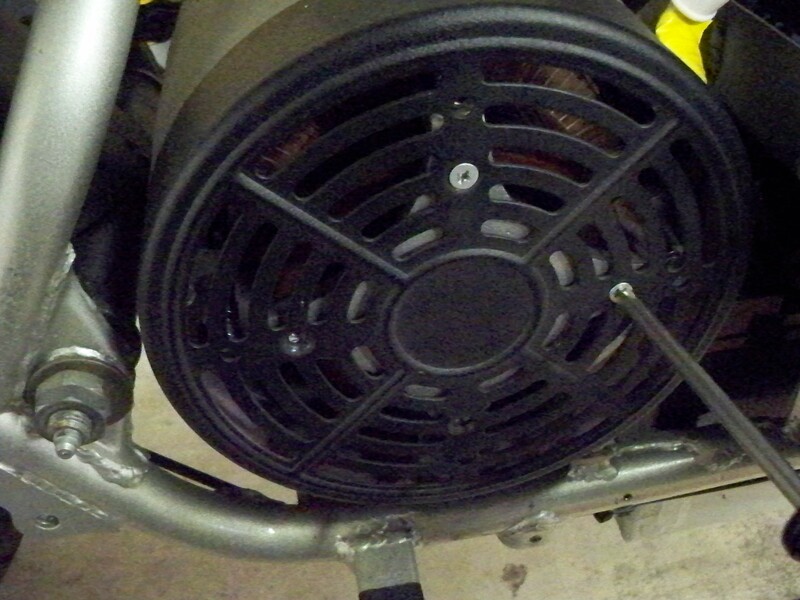 4. run the motor at 2/3 to 3/4 throttle for about 45 minutes to an hour. 6. re-connect drive train and carefully drive vehicle for the first couple charge cycles. Hopefully this helps in any motor repairs you may have to fix either now or in the future, this was much easier then expected, it just takes some time.